I am sure more than a handful of you have started mulling over the fact that another year is about to end, and we are in fact, over a decade into the Millennium, a time that many regard as mysterious and unknown as the outer galaxies of the universe. With 2011 nipping at our heels, perhaps you are, like me, reflecting on the last 10 years and wondering where they went. If you feel you have not accomplished as much as you should have or could have, consider the fact that maybe you would have if you had set a better schedule for yourself. Schedules are vital when it comes to sign making business success. No matter how much it hurts me to say that, no matter how hard it is for you to hear, you need to recognize the need to set a schedule for yourself. As a sign shop owner, we face many challenges when it comes to making and keeping a schedule. First off, we are all more than just the owner of a sign making, we are husbands, wives, moms, dads, consultants, writers, and so on. There is enough stuff in our lives that we can’t control – figuring out what you can control and scheduling it is like an oasis in the middle of a scorching desert. Assign special tasks/projects to a certain day and keep them there. Pick one or two days out of the week that you will use to meet with clients and schedule as many appointments as possible on those days. Block off certain periods of time for specific tasks. For example, use from 9-10 to answer phone calls and emails, and from 10-12 to design a new project. Keep the block of time you are in the office on uninterrupted hours. If you need to pick up the kids at 3, plan on working in the office from the morning until 2:30 so that your workday runs without unneeded distractions. Set aside quiet time for when you need to do any mentally tasking or creative work, such as accounting or blogging. Leave one day to connect with those at your office. When someone wants to have lunch or grab a coffee, try to put them on these days. A little pick-me-up might be all your schedule needs to get you right on track. Although it’s tough at first, especially for those of us who tend to live on the spontaneous side of things, the benefits of having a solid schedule in place are too great to ignore. 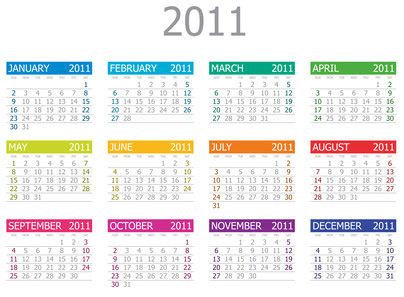 Why not try revamping your schedule for the new year and see how things go! Do You Know How to Pay Yourself?